Anyone who starts a business is familiar with the concept of a business plan. This essential document is required to gain funding and shift a business from a bare-bones idea to a real-world operation. However, the business plan is just a starting point. If you want a business to remain open and operational, continuity planning is necessary. Continuity planning is the process in which a company identifies key business functions and the resources involved. It examines potential risk factors in order to develop a recovery plan, should the worst occur. It is possible that issues can arise, such as class action lawsuits, data breaches, or even natural disasters. These problems can often derail a company’s ability to maintain operations. Perhaps something much more mundane, like machine failure, or a few bad quarters have emerged. These things can drain surplus funding. The next step is creating a good continuity plan. With proper forecasting, contingencies can be setup to combat any number of potential risks and losses. Here are five crucial tips for creating a comprehensive continuity plan. Many companies assemble a team comprised of company personnel with the experience and insight needed to create a comprehensive business continuity plan. If never done before, consider hiring an expert to lead this team through the planning process. Often, asset inventory has already been done for insurance purposes. If there is no comprehensive accounting of business assets, now is the time to perform an audit. Make a complete list of all inventory. Be sure to include real estate, machinery, computer hardware and software, office equipment and supplies, products, and even important business documents. Complete a thorough accounting of human assets. This should include a contact list for employees, as well as partner, vendor, and client information. In the event a building is consumed in a fire or flood, or suffers a data breach resulting in a system shutdown or lockout, having this information handy could help get operations back up and running quickly. It is important to document critical business tasks. Every business operation has key functions that allow for continued operations. These include things such as ordering supplies, delivering goods and services, and paying employees and vendors. If these functions are not fulfilled, a business will undoubtedly suffer. 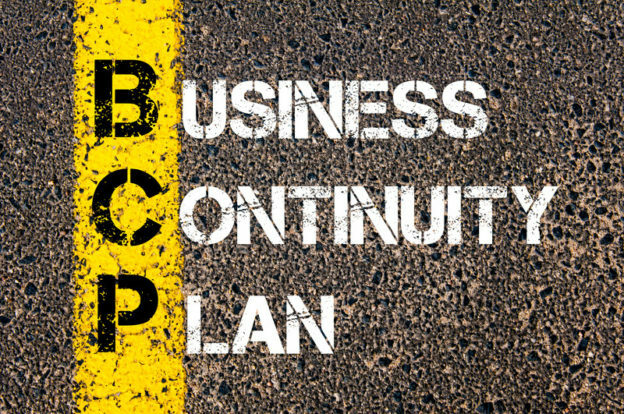 The first part of creating a continuity plan is in understanding which functions need to continue, in order to keep the business operational. Chances are the business could get along without certain functionality in place, at least for a short time. However, without having this information in writing, there are definitely critical functions and processes that could fail, should things go awry. It is not necessarily easy to have a complete accounting of assets and essential business functions. The business should at least have access to all the information needed to complete such an inventory. The hard part that comes next is pinpointing potential risks to ongoing operations. Naturally, it is not necessary to reinvent the wheel. Plenty of businesses have experienced difficulty and loss. It is a good idea to learn from their mistakes. However, there is no crystal ball, so planning for potential snafus is somewhat difficult. However, based on the list of essential functions, there should be the ability to extrapolate the most likely disaster scenarios. For example, losing control of the network due to ransomware could put a halt to business operations. Knowing this possibility allows for a plan. Create frequent system backups so there is a recent save point from which to restore the network and resume operations. Once there is a clear idea of the likely risks to essential functions, begin to create a recovery plan that will allow for continuity, even in the face of adverse scenarios. The point is to facilitate recovery before losses become so great that they have a detrimental or irreversible impact on the business. For this reason, it is important to create a plan for recovery in specific scenarios. Additionally, pinpoint the recovery time objective, or the amount of time available to enact a recovery plan, before losses reach unacceptable levels.